Highmark Health, a Pittsburgh-based Blues insurer that owns hospital system Allegheny Health Network, reported higher operating revenue and profit in the first half of 2018, despite a sharp decline in its commercial insurance operating results. Highmark Health's posted operating revenue of $9.4 billion, an increase of 2.4%, and net income of $552 million, up 3.2% in the first six months ended June 30. 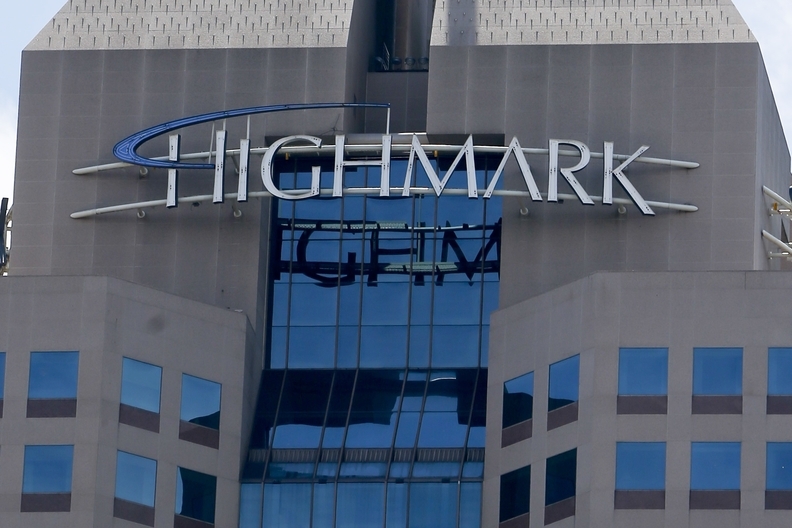 Highmark's operating income was down slightly to $502 million from $503 million for the same time last year. In the same period, the health plan reported an operating gain of $443 million for the six months ended June 30, down from $480 million during the same time last year. The plan's commercial business recorded operating income of $155 million, a decrease of 20.9% year over year. Company officials said the decrease was expected, because the health plan experienced record results in 2017 and they were unlikely to sustain those results year after year as a not-for-profit organization. Highmark serves about 3.3 million commercial members and 1.3 million government-sponsored members. The government segment, which includes Medicaid, Medicare Advantage, Affordable Care Act-compliant individual and small-group customers, reported an operating gain of $288 million, up 1.4%, in the first six months of the year. Officials announced the results on Monday while touting the company's initiatives to improve its members' access to quality care through value-based programs as it gears up to split with rival University of Pittsburgh Medical Center in mid-2019. The two insurer-providers say they plan to sever business ties after consent decrees signed five years ago expire. Seven UPMC hospitals are in line to leave Highmark's network next June. Highmark's eight-hospital Allegheny Health Network, meanwhile, more than doubled operating income to $24 million during the period, compared with $11 million in 2017, due to more effective business and clinical processes, improved revenue cycle operations, improved care coordination and a more complex patient mix. Officials said the hospital network also earned additional funds through a variety of pay-for-value programs. Allegheny Health Network's patient volumes grew year over year, driven by a 2% increase in physician visits and an 11% increase in ambulatory surgery center cases. Inpatient visits also increased by 1% during the first half. Highmark Health is focused on improving quality and reducing costs by helping patients access care where and when they need it. To that end, Allegheny began offering same-day primary-care and specialty-care appointments last year. "It starts the cycle of value-based medicine," said Highmark CEO David Holmberg. "You are keeping people out of the emergency room and getting them into a better site of care that's more affordable." The not-for-profit organization has also created clinical pathways, including one in which 2,000 patients with multiple chronic conditions were set up with nurse navigators to better coordinate their care. That program is being rolled out to a broader population. Additionally, Holmberg said 70% of Highmark's primary-care physicians, or about 7,000 doctors, participate in its value-based reimbursement program, which rewards physicians for meeting quality, safety and outcomes metrics. Launched in early 2017, the program "rewards them for getting people to the right sites of care; for taking the phone call at night, rather than have them drift to an emergency room situation; and encourages them to be proactive with the patient," Holmberg said. The 2 million patients seen by a primary-care doctor in the program had 11% fewer emergency department visits and 16% fewer inpatient admissions in 2017 than patients who saw a doctor who didn't participate. Highmark served 4.6 million members in its core markets of Pennsylvania, West Virginia and Delaware, flat from last year. Aside from the health plan and care delivery network, Highmark owns several other businesses. Its technology services company, which serves 13 Blues plans in multiple states, also posted a $29 million operating gain in the first half of the year, compared with an operating gain of just $5 million in the prior-year period. Its stop-loss business, HM Insurance Group, also posted an operating gain of $44 million, compared with a gain of $7 million in 2017.